It’s overwhelming to find the best software for your organizational needs. This is why we have created a guide for companies that are looking for a corporate performance management (CPM) solution. In this article, we will cover the essentials in selecting the top CPM solution for your company. These essentials include having organizational goals, defining the scope of the tool, finding the right deployment option, leveraging software reviews, and identifying the key benefits of a CPM tool. Let’s get down to the basics. If you’re already familiar with CPM and the features it typically offers, feel free to skip to the next paragraph. Gartner defines CPM as “an umbrella term that describes the methodologies, metrics, processes and systems used to monitor and manage the business performance of an enterprise.” It has been used mainly for accounting and profitability purposes. According to G2 Crowd, the key benefits of CPM are to “improve productivity, increase revenues, and sustain the growth of the company.” If you’re looking to reduce costs, remodel your company budget, improve your financial planning processes, or upgrade your organizational strategy, a CPM tool may be the best solution for your company. CPM software isn’t a one-dimensional product. The software usually features budgeting, planning, dashboards, data analysis, forecasting, and custom reporting modules to name a few. Let’s talk about goals. Employees who are involved in the budgeting and planning process should know the company’s strategy and goals prior to planning. Imagine your company’s goals on a map. The destination is the organization’s purpose and mission, and the cities you need to hit to get to your destination are your organizational goals. These can also be broken down to departmental goals as well. Read more about corporate and departmental goals in our article, “How to Build a Corporate Performance Management Solution.” Some of these goals may not change over time, but it should be reviewed annually to ensure they remain true. Your set of goals will help define the correct scope of the new tool. As an example, if the goals that you have set require weekly or monthly monitoring (most do), you should consider a CPM tool that has the ability to produce dashboards and reports that will help you track those at the push of a button.The main takeaway here is to accurately define the scope of the tool: what are looking to accomplish with your CPM tool? Which goals will be tracked? The answers will help keep you on track in the buying process and make it a worthy investment. Decide if an on-premise or cloud CPM platform is better for your company. The Cloud business is growing rapidly and eventually all companies will host all of their data in the cloud without exception. In the meantime, if your team is split between the two, there are vendors that offer both options. This allows you and your team some flexibility, but always keep your sights set on the future of technology and find one that will get you there easily. In terms of software maintenance, Cloud solutions are easier to maintain. When you go the on-premise route, any system requirements are the customer’s responsibility. Your IT team is seen as the gatekeeper of your software. If all your data sources are already in the Cloud, it may be smarter to also have your CPM in the Cloud. It will be more cost-effective and easier to integrate and upgrade. Access to a product hosted in the Cloud is via the internet so security risks are inherently present, but Cloud computing services such as Azure spend billions of dollars every year to keep your data safe. Focus on your current setup and how the CPM tool will sit on top of the other data sources that make up your company’s unique data structure, but also look ahead and think of which tool will be able to navigate your current and future plans. After all, you will be implementing and adopting a tool that will encapsulate all of your data and impact decision-making across the entire organization for years to come. You will want this tool to scale with your business. Another factor to consider in your buying process is a product review site. Software review sites not only reveal customer reviews for the products you are evaluating, but they also share grids based on size of business, services, and ratings, making it easy to learn about the product from the customer’s perspective. For example, G2 Crowd shares a grid that ranks leading CPM solutions based on customer review data. What’s the takeaway? 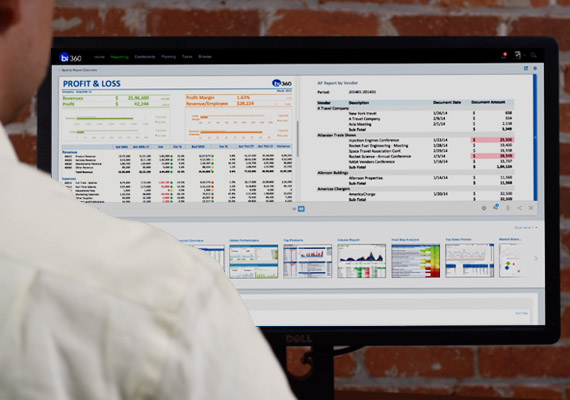 CPM can help your business align financial and operational data to drive performance improvements and better foster the health of your company. CPM is a way to ensure that your organization’s strategies get executed. Keep in mind that strategies, goals, analysis and planning are a part of the CPM process. Selecting the best CPM software solution is a process that requires a great deal of research. If you are struggling to find a CPM tool that fills in all of the blanks, Solver has a team of experienced professionals that can get your company started. This entry was posted in BI360, BI360 Planning, BI360 Reporting, Cloud, GPUG, Intacct, Microsoft Dynamics, Sage 100, Sage 300, Sage 500, Sage X3, SAP Business One, Solver Operational Data Store (BI360 Data Warehouse module) and tagged Adaptive Insights, analytics cloud, best corporate performance management software, board international, budget plan, budgeting and forecasting, Business Objects, business planning, corporate performance management solution, corporate performance management tools, CPM, cpm software companies, data integration, decision maker, financial budgeting software, financial close, financial consolidation, Financial Planning, Financial Planning and Analysis, financial reporting, FP&A, Host Analytics, management platform, monitoring and managing, planning process, real time, software vendors by Hanna Kim. Bookmark the permalink.